Warning: Boca campus WiFi users should use koko-boca.fau.edu rather than koko-login.fau.edu. This is due to an network issue that is being investigated. Note: To access FAU’s High Performance Computing Clusters users must first request access using the “Request Support” page. To connect to the Unix resources you will need a good quality SSH client. In the HPC group we prefer to use Putty. Click Accept if prompted to accept the hosts certificate. You are now connected to the resource. 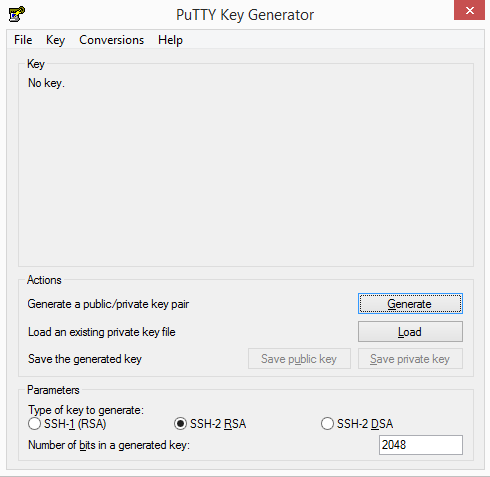 For windows machine you can setup your PuTTY to ssh without using a password by opening your PuTTY Key Generator. In your startup menu type PuTTYgen to open the program. You can leave the default settings for the parameters (SSH-2 RSA) and the number of bits (2048). 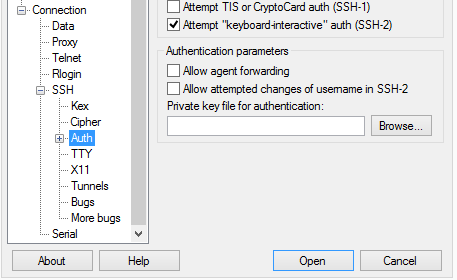 Click the Generate button and move the mouse randomly on Putty Key Generator field window in order to produce the SSH Keys. Once done select the save public key button and save it as a text file. Then select the save private key button and make sure to save it as a .ppk file. When saving the private key select no when asked to confirm without a Passphrase. From the PuttyGen copy and paste the generated puble key to the vim editor. Then save and exit. Now exit and open Putty so we can configure it to use the new generated keys. 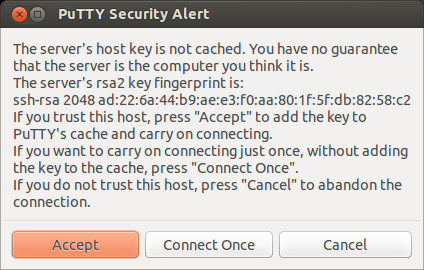 In Putty go to Connection > SSH > Auth. In the private key file box hit browse and locate where you saved the private key (.ppk) you saved. 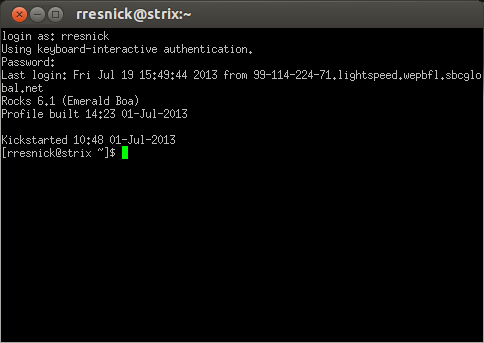 Go back to the main Putty page and login in like you would normally. After clicking open it will log you into Koko without prompting you for a password. *note: it’s fine if the directory already exist. When prompted input your password into Koko. You should be able to ssh into koko without using your password from now on.